How do I view my profile in the Polls app on my iOS device? 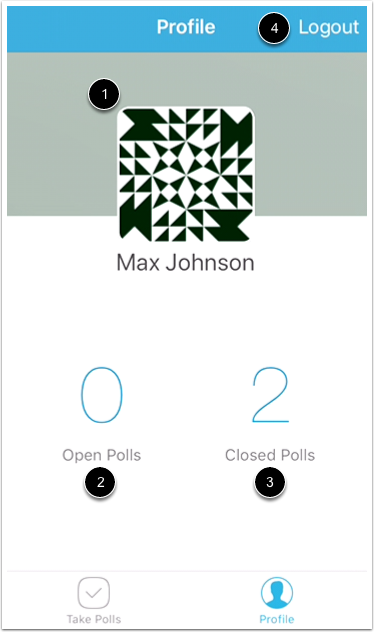 You can view your profile in the Polls app. Note: Depending on your user role, your menu options may vary. Your profile shows your account name and profile picture , the number of open polls available to you , and the number of closed polls . You can also use your profile to log out of the app . Previous Topic:How do I view poll results on my iOS device? Next Topic:How do I log out of the Polls app on my iOS device? Table of Contents > All Users > How do I view my profile in the Polls app on my iOS device?